At each NYSGA Amateur Series tournament, players earn points based on their net finish. The top-120 players at season end will earn invitations to compete in the NYSGA Amateur Series Championship, hosted by the Schuyler Meadows Club in Albany. A player's points total will consist of the sum of their top-5 tournament finishes. Note that a player is not required to play in five events to be eligible for the NYSGA Amateur Series Championship. If a player competes in more than five events, only their 5 best finishes will be used when calculating their final point tally. To view how this point system works, please refer to the table below. 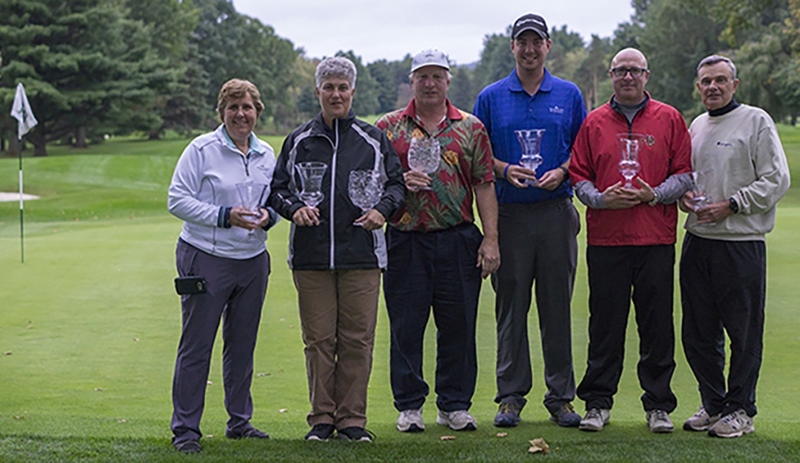 Invitations: The top-120 men and women on the 2019 NYSGA Amateur Series Points List (see above) will be invited to compete in the Championship at Loudonville's Schuyler Meadows on Monday, September 30th. If a player is unable to accept the invitation, the next person on the list will be invited until the field of 104 players is reached. Division: Three divisions have been established: Men’s (all ages), Men’s Senior (ages 55+) and Women (all ages). Players will be required to select a division during the registration process. A minimum of 5 players are required for a division to be eligible for the Points List. Flights: Divisions are broken down into equal sized flights based on entrants’ handicap index as of the tournament’s entry deadline. The number of flights will be determined by the number of entrants in each division as follows: 5-19 players (1 flight), 20-39 players (2 flights), 40+ players (3 flights). Points: Points will be awarded to players in each flight depending on their net finish only. The number of points given will be determined by the number of players in each flight. Several “Points Schedules” have been created and will be applied at each event depending on the number of players in each flight.